Hello and welcome to The Home Genie! 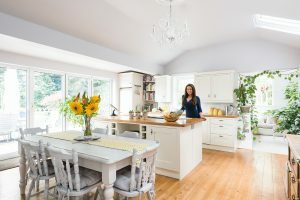 If you love nosing at other people’s houses, property programmes, doing DIY – or watching other people do it – and general interiors and crafting, The Home Genie is the right place for you! Please bring your sense of humour. 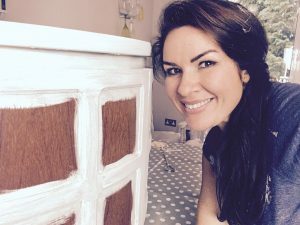 I have had a love affair with DIY and upcycling since…well before it was called upcycling! Now I get to combine my two passions of talking and doing all this stuff by blogging and making videos for your pleasure. I regularly bring you ‘how to’ guides with tips and experiments to hopefully inspire and save you time. You can expect to see chalk painting, carpentry, sewing, artwork, upholstery and even laying floorboards. These projects don’t always go to plan, but I’ll let you know how you can avoid the same mistakes. Watch out for my cat Dexter and toddler Bonnie, who don’t always help, but provide some light relief when the air is blue! I live and breathe interiors. It’s so exciting for me to be able to share this passion with you all in my blog and vlog. One thing I do believe is that you don’t have to spend a fortune to get the ‘wow’ factor in your home. So I try to keep my advice simple and affordable. Reducing waste is also very important to me so I always lean towards upcycling rather than throwing out the old to create a new look. I hope this helps towards making me a worthy ambassador for the charity Groundwork. 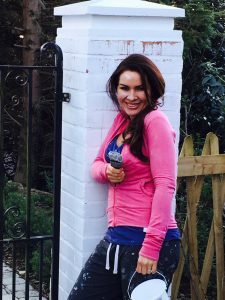 Having practised as a fully trained life coach for 11 years I have a wealth of tips as to how your mind can help as much as your hands. I believe greatly in the power of inspiring surroundings and so incorporate this holistic attitude to interiors in my posts. One of my roles is as a home coach helping others to make sure their environment is supporting them in their journey to their goals. But you can take advantage of some of my advice for free here! I have a long and successful history of buying, renovating and selling property. As you can imagine I have learned through bitter experience, so I’d like to help you to avoid the pitfalls! Whether you’re a first-time buyer, climbing the ladder or downsizing after retirement, I’d hope my tips will be of use. 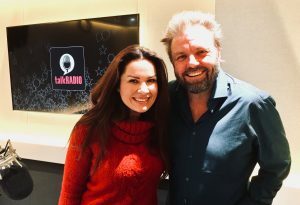 If you’re desperate for help and advice on dealing with builders and renovation work, this is the place to come. Just ask if you have any questions that aren’t covered and I’ll do my best to help. Watch out for my book coming out this autumn A Guide To Buying, Improving and Selling Your Home. Why not come and have a chat with me in one of my Facebook lives. These generally happen on a weekly basis and always have a theme. 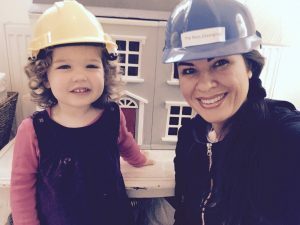 Sometimes we will be chatting about trends, sometimes about building advice and I have my trusted Doug The Builder to answer anything I can’t! 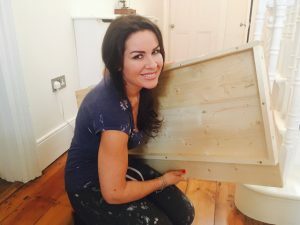 At times I will do live DIY demos, when you will get the chance to watch me in action and ask questions as I progress. You would be amazed at how interesting watching paint dry can be! If you ever have a subject you would like me to focus on in a live, please let me know. I post the more interesting live videos here – and you never know, you may even get a mention! You need to be logged into Facebook to view these. Some people say I live a varied life. I’m not sure that dressing up in a cocktail dress at 3am to present the weather on BBC1, changing into my overalls when I get home at 3pm to do some DIY, singing the Frozen theme tune with my daughter at 5pm and then doing a live chat about double glazing on Facebook at 8pm is that interesting, but apparently it is to some! For that reason, I bore you, I mean thrill you with some videos about my day-to-day life. I try to miss out the bits like brushing my teeth and talking to my accountant. So why not subscribe so you can join The Home Genie community and never miss a post or video – you never know it could change your life…or at least your colour scheme! I hardly recognised the kitchen. It looks really great compared to the house when I surveyed it. Ha yes, it’s a very different house now. We must have a chat about doing that survey post we talked about. I really like the look of this blog! Nosing around peoples homes?? I’m there!